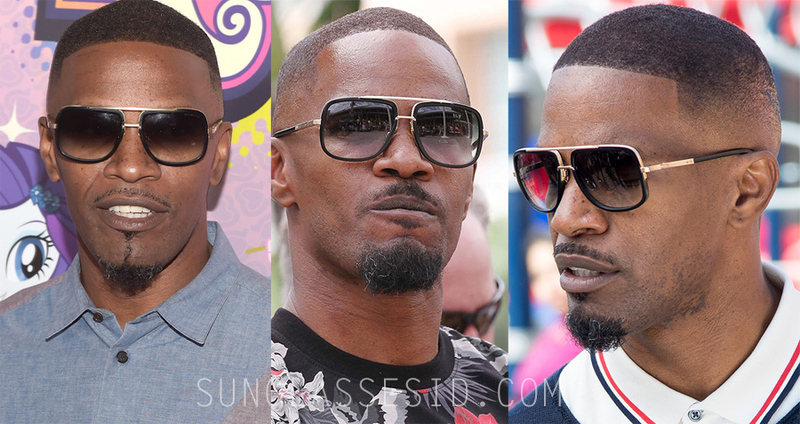 One of Jamie Foxx favorite shades are his Dita Mach-One sunglasses. On many events he was spotted wearing this pair from the Dita Legends collection. The Dita Mach-One has a titanium front frame with plastic lens rim detail, titanium temples, custom flex hinges, titanium nose pads. 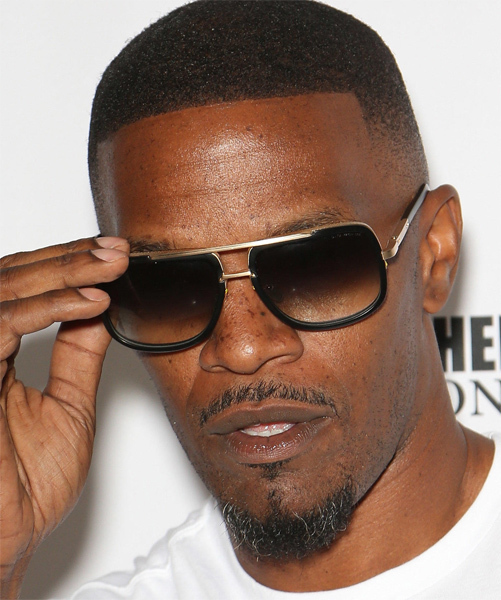 It comes in several colors, including Black/Gold and Matte Black/Gold, and it looks like Jamie Foxx is wearing the Matte Black/Gold version. Get these Mach-One sunglasses on Amazon (not always available), Dita.com (USA only), or find a selection on eBay. The same model sunglasses is also worn by martial artist Conor McGregor.